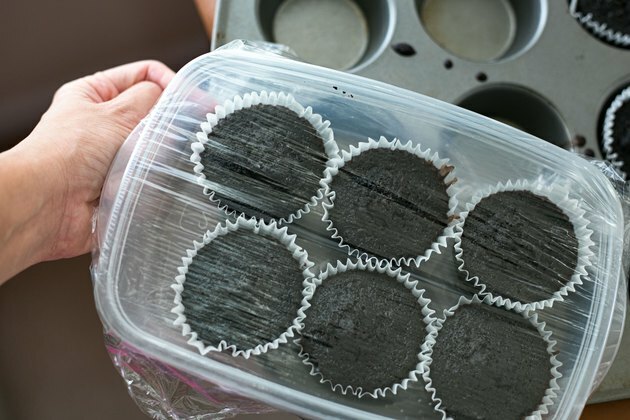 Keep your baked cupcakes from drying out overnight. Whether you are storing frosted or unfrosted cupcakes, you can wrap them tightly to keep them safe from become stale too quickly. 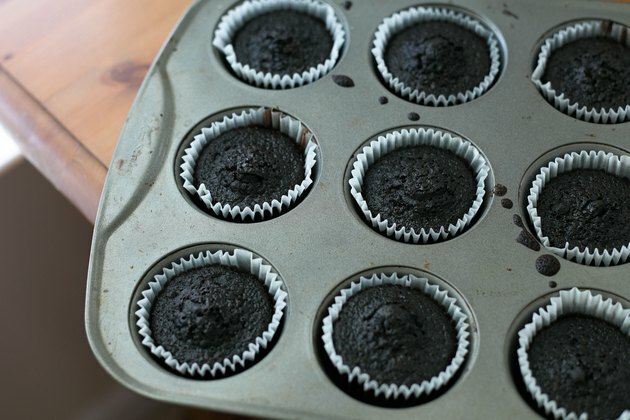 This allows you to prepare cupcakes the day before a party and still serve them while they're fresh and moist. 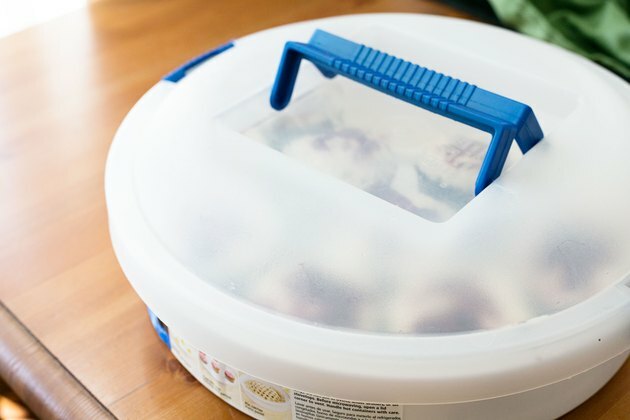 You can purchase a special air-tight cake container for storing cupcakes or use items you already have in your kitchen to keep your cupcakes fresh and moist. Keep cupcakes away from light, heat and humidity. 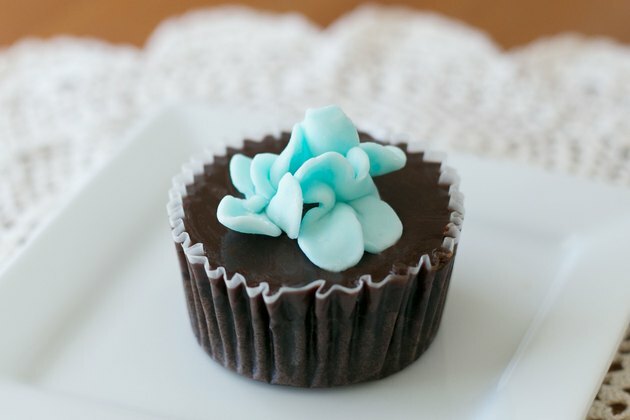 Store cupcakes in a dry, cool area away from light bulbs and sunlight. Cool freshly baked cupcakes completely before wrapping and storing them. Wrap unfrosted cupcakes tightly in plastic wrap, or place them in zip-top plastic bags. 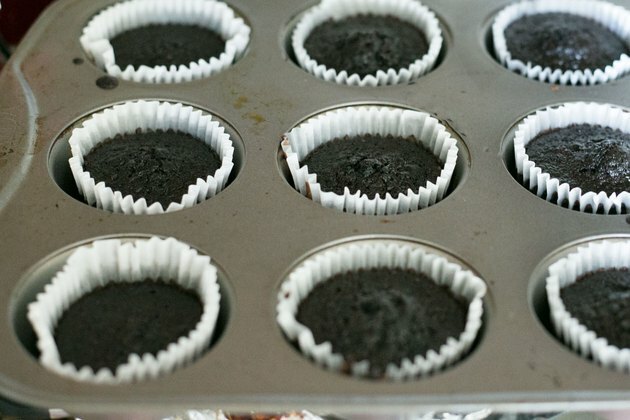 Store the cupcakes at room temperature for up to one or two days before frosting and eating. Freeze frosted cupcakes uncovered for an hour, and then remove them from the freezer and stick a toothpick in the top of each cupcake. Place the cupcakes on a plate and cover the plate with with wax paper, which won't stick to the frosting thanks to the toothpicks. Store the cupcakes at room temperature for one or two days. 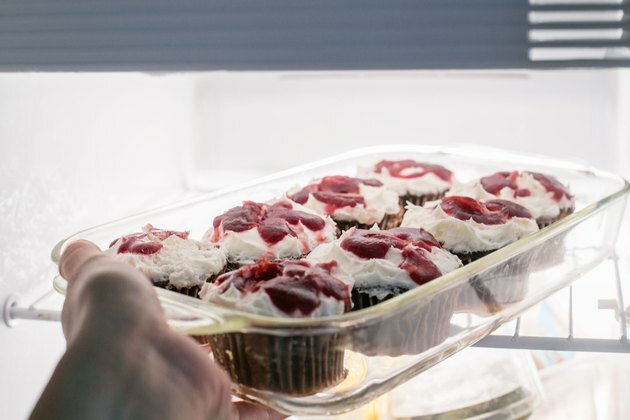 Store cupcakes at room temperature enclosed in an air-tight cake container or set them on a plate with a large overturned mixing bowl covering the entire plate. Store cupcakes in the refrigerator if your kitchen is hot to reduce the potential for bacteria growth.